"A gentle blend of music, people and nature; a summer camp where melodies ripple off the waves and rhythms bounce out of the shadows. 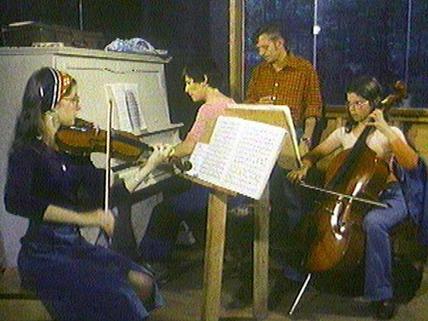 Every summer since 1953, CAMMAC (Canadian Amateur Musicians/Musiciens Amateurs du Canada) has held a bilingual music camp in Québec's Laurentian Mountains. Here, people of all ages and levels of musical ability come together to learn and make music with a professional staff of Canadian and international musicians." National Film Board of Canada. "NFB -- Harmonie." National Film Board of Canada. http://www.onf-nfb.gc.ca/eng/collection/film/?id=12612.